This post is one of the most important that I have ever written. You maybe know it already, recently I won the SEO Hero contest by Wix, a worldwide SEO Challenge launched by WIX in November 2016. To win the challenge I’ve entered the game with a great tool. I said great, not perfect. I’ve offered something new, a different way to look at words within a SERP. I get a huge amount of positive comments on Twitter, Facebook, by email, on Youtube, everywhere. Great comments from many countries. A lot of people want to help me (for free) to translate SEO Hero in different languages. I received natural citations and links from many websites and I get top rankings on Google.com. I m the incontestable winner of this contest, SEO-Hero.tech has more than 80 positions ahead of the second in this competition, but unfortunately, this seems to don’t be enough for the Judge that decided to disqualify my website from the competition. I have the right to appeal this decision and that’s what I’ve done because « We are the champions, my friend and we’ll keep on fighting till the end ». Yeah, till the end! The main reason why the judge decided to disqualify my website is that many web marketers and search engine optimizers from France decided to support the french people engaged in the Wix competition, adding a link to our entries on their professional websites or personal blogs. Many people in the SEO Industry say that Google guidelines are not clear and open to interpretation. At least it’s clear that the webmaster guidelines never blamed solidarity. I never thought that one day I will have to fill a reconsideration request to someone other than Google. Now that I’ve done it, i thought it was interesting to publish it on my blog, remembering that we are not talking only about backlinks and websites, we are talking about real life of real persons. Knowing that this is a long document, I tried to make it funny sometimes, sincer but funny. Before going into the details I want to clarify some very important points. Following what you told me in the discussion we had together on Skype and what you wrote to me by email, I am not surprised that many competitors have tried by all means to tarnish not only my SEO strategy but also the SEO made in France, and attempted to make disqualify the best SEOs. It is obvious that the importance of the prize or the reputation that can be derived from the victory of such an international competition encourages some to use all means to win, even to eliminate all the competitors placed before them. I also understand that your position as a judge is very delicate, and despite all I can say about some competitors, remember that during this contest you never received a single mail from me denouncing anything or whomever. Your mission is already quite complex for you to send you such emails and my mission was to get the victory in the SERPs and not by trying every possible way to get rid of my competitors. As you said to me, the file with the backlinks that are blamed here was sent to you by one of the competitor. To respect for its privacy you didn’t mention his name. But looking at the link mentioned in line number 8 of this file (https://raiseupconsulting.blogspot.ru/2017/03/soutient-seo-hero.html) we have a good indication about the competitor we’re talking about and his country. Infact, blogspot plateform has a particularity, it always redirect the user to its corrispondant local tld. If I try to reach this URL from France Blogspot server will redirect to blogspot.fr instead of blogspot.ru. The competitor that sent you this file most probably comes from Russia and looking at the rankings for the SEO Hero contest on the 13th, 14th and 15th of March I understand better who can profit for these unfair investigations. That said and before talking about SEO strategy it is fundamental for me to get this message across. The SEO done in France is much better than what some have tried to make you believe. Behind all the links you have questioned it is essential that you know that there are real sites and especially real people, assets in the French and international SEO. They are all women and men who are passionate about their work and who, on a daily basis, are leading entrepreneurs towards success. I will not let anyone tarnish their reputation or their image, so I will not just talk about links or websites, I will also tell you about the people and their true story. Now I m going to talk about the links and webpages pointed in your attached file. Overall, what is blamed for all of the sites below is that they contain links to several French participants in the WIX SEO competition. Isn’t it natural for French actors in the digital economy to support French participants in an international SEO competition? Google has never banned this. Not only is in perfect agreement with Google’s guidelines, but it’s also quite natural and understandable. Search Datalogy is the professional website of Aysun Akarsu. Aysun is an SEO specialized in big data analysis. She is the person you have to count on if your website has issues with crawl budget for example. The post she wrote about the SEO Hero contest contains an amazing work of Data Mining of Tweets with the hashtag #SEOHERO and it’s just crazy that someone could think for one second that it’s not in accordance with Webmaster Guidelines. Her work and her support are absolutely fine with Google and the rules of the Wix SEO Hero contest. 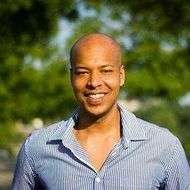 Raisupconsulting.blogspot.com is Hervé Arnaud’s blog about webmarketing. Arnaud is specialized in SEO and Conversion rate optimization. I think Arnaud is a bit crazy because he signed the longest podcast I’ve ever seen about the seo contest. His podcast lasted 8 hours, yes, 8 hours and you can see it here. This is the website of a well-known SEO agency from Lyon who’s name is « TOP 10 Strategie ». This website is designed to present and promote their SEO services. It’s clear that it’s absolutely not a website made for link purposes. The web page is also linking to other challengers from France, and it’s clear to anybody that it’s not against Google guidelines that some french SEO agencies or digital companies show their support to french SEO engaged in the Wix SEO Hero contest. I m really surprised that I need to justify this organic link because any search engine expert can confirm that this referral is perfectly fine and in accordance with Google Guidelines. E-Works.fr is a job search solution specialized in web marketing. 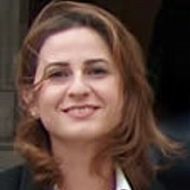 E-works helps candidates and recruiter to connect and it was founded by Smaïl Maakik. 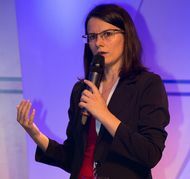 Smaïl is also a speaker and is passionate about human resources and online marketing. This is his twitter account https://twitter.com/Smaility in case you need to connect with him to figure out why they linked to my website, I guess they did it also because he appreciate the huge work I’ve done. E-works helps companies to find the best candidates also for search engine optimizer positions, don’t you think it’s absolutely natural that they publish a news about French SEOs engaged in an international contest? Whatever the reason why they decided to talk about the contest, it’s clear enough that this website is not online for link purposes and that is absolutely in accordance with the Google guidelines. This is a detail but you can also note that this organic link was done on the 10th March 2017, 3 days before the first ranking check. At this time I was already the leader of the competition. Do you really mean it’s fair to disqualify my entry for these legit links? This is the website of a web agency based in Biarritz and founded by Kilian Pariso. Kilian is an entrepreneur from the « pays basque » that chose Biarritz for many reasons, probably also because he’s a windsurf lover. Neither this website is made for link purposes and as you can see it presents the online services of Kilian’s Agency. What’s the matter if Kilian, a man who has the spirit of competition in the blood and that loves SEO, decides to support french SEOs engaged in a worldwide challenge like the Wix SEO contest. This is absolutely fair in terms of Google guidelines. Samuel Hounkpe is another well-known SEO Consultant that started its online career in 2001. Everyone in the French SEO Industry knows Samuel. Some people call him the intellectual because Samuel is also passionate about literature and philosophy. I’m not sure that it’s a smart idea to tell you this but I have to confess that when Samuel says me hello on Skype, I often do like I m away from keyboard because I know that he’s going to make me waste 1 hour of my working day talking to me about Noam Chomsky. That said I really appreciate Samuel and I’m very proud and happy to know that he decided to support my tool because he’s a great search engine optimizer. Samuelhounkpe.com is his professional website, it was not made for link purposes and I’m sure that even Matt Cutts would say that it’s in accordance with Google guidelines. You’re an administrator on my search console and as you can see this domain do not appear under « links to your site ». I just checked and this website is not even indexed by Google. I suggest to you to make a further control on my search console to see by yourself that Google has not any history about this link. How can any link frm this website help me in getting better search engine ranking? How could I Disavow this link if even the search console does not mention its existence? It’s evident that my SEO Hero entry can’t be disqualified for that link. 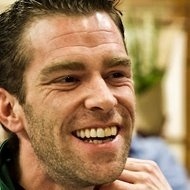 This one is the professional blog of Sylvain Vandewalle. 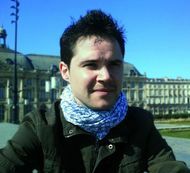 Sylvain is living at Caen in Normandie and is a Project Manager at DesignProduction (designproduction.fr). He’s also a speaker for SEO Camp the most important SEO Organization in France. I met Sylvain in real-life and for the first time two weeks ago at SEO Campus Paris. There I knew that Sylvain hides many secrets, he’s very good also at « table football » and he’s passionate about pastry, (I recommend to anyone who wants to discover French pastry to taste its Paris-Brest). That is to say that Sylvain is another real person, with a real story, and a real website, not made for link purposes and in accordance with the webmaster Guidelines. lereferenceur.fr is Marc San Emeterio’s website another SEO expert. Marc comes from Paris and started his career at Resoneo one of the most important SEO agency in France. His twitter nickname is @le_referenceur he often tweet about search engine marketing, and his website that is online since 2011 is not made for link purposes. As you can see the website promote his SEO Services and host an interesting blog where the last published post is titled « SEO, growth hacking and inbound marketing ». I feel lucky that I’ve gained a citation from his website and in accordance with Google Guidelines. 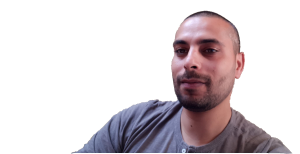 This is the Arnaud Yhuel’s Blog a freelance SEO from Rennes. I don’t know if you ever heard about Rennes but you can pronounce it like « rain », in fact, at Rennes It rains all the year. In the autumn it’s raining at Rennes, in the winter it’s raining at Rennes, on the spring it’s raining at Rennes, and in the summer it’s raining at Rennes. I don’t really know what are the best business opportunities in Rennes, but there’s one thing I m sure about, at Rennes is better to sell umbrellas than solar panels. Arnaud will agree with me on that point. That said and apart from this true story, Arnaud’s blog is another true website, with a true history absolutely not made for link purposes, and perfectly in accordance with Google Guidelines. 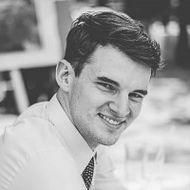 This is another great SEO blog, this one is made by Sebastien Thibert an SEO Consultant from Marseille. When Sebastien isn’t working on a search engine optimization project and when he isn’t writing on his blog, for sure he is drawing. Sebastien started his career as an illustrator. He worked for Disney, Dreamworks, Warner Bros, and he curated project like Gaston Lagaffe, Hello Kitty, Pucca, Dragon Ball Z. He has also an important knowledge on comics. He has also some fun making caricatures of SEOs. You can enjoy his draws in his authentic SEO Blog, of course not created for link purposes and perfectly fine with the webmaster guidelines. 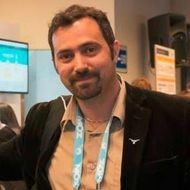 Laurent Bourrelly is well-known as the “SEO Rockstar”. 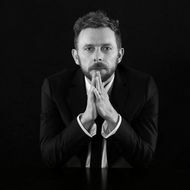 He is a member of the jury of the UK Search Awards (http://www.searchawards.co.uk/judges) and for the European Search Awards (http://www.europeansearchawards.com/judges). If you ever heard about it, Laurent is the father of the « topical Mesh » (cocon sémantique in french). The Topical Mesh is one of the most used On-site SEO Strategy in France, and you can take a look at http://www.frenchtouchseo.com/ if you want to know more about that strategy. Anyway, Laurent’s blog is the most read SEO Blog in France and this since 2009. Of course that this link is legit and in accordance with Google Guidelines. 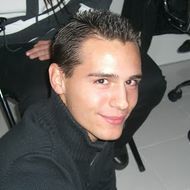 Loic Helias started his online career as a community manager, but fast he fell in love for search engine optimization. Today he’s living in Bordeaux, but he’s born in Auvergne a region of the center of France known around the world for its dormant volcanoes. As you can see his website presents his online services to get more traffic, and it host an SEO Blog. Another website that is not created for link purposes. The link coming from his website and from an article that discusses the Wix SEO Hero contest is perfectly legit and in accordance with Google Guidelines. You’ll maybe laugh about this one because you have two points in common with Julien Berard the guy behind this website: French SEOs call him “the Juge” and he lives in Canada (Vancouver). 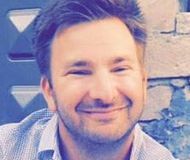 After started his career in France, he worked as “Head of Search” at NetBooster UK, then he left Europe for the United States where he worked for ContentActive a company from Texas. Actually, he’s the SEO Manager of coastal.com. Julien’s Blog is online since 2010 and as you can see it was not created for link purposes and it’s not part of a link network. This is another link absolutely legit regarding the Google guidelines. Internet-Job.fr is a Benoit Mercusot’s project that helps companies in the digital industry in finding the best candidates. 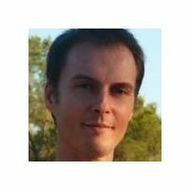 Benoit Mercusot is a WordPress expert and a speaker for several events like the famous Wordcamp. Benoit is one more guy that naturally supported French SEOs engaged in a worldwide challenge with a useful website. This website was not created for link purposes and the mention from internet-job.fr is in complete accordance with Google guidelines. That said, I m honored to discover that Idewan linked to seo-hero.tech because it’s a great web marketing agency with a large and brilliant team. Obviously, this is absolutely legit, and if one day their link appears in the search console I will not disavow it as it’s perfectly fine regarding Google guidelines. More seriously, this is what I can tell you about Mickael. He’s the founder of an SEO Agency from Lyon, this guy is incredibly skilled in on-site optimization, so humble and very helpful at the same time. Everyone agree here (in France) that working with Mickael is a great idea if you want to rank a startup. Nobody here can forget his greatest SEO conference ever done at the #BWSEO (another of the greatest French SEO Events). 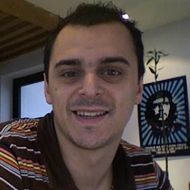 Mickael-Challet.com is his personal blog in which he talks only about SEO Stuff. Perfectly on-topic and legit website, absolutely not made for link purposes and obviously fine with Google Guidelines. WebAndSEO.fr is the professional website of Maximilien Labadie. In 2009 when Maximilien made his first steps in the SEO world he’s only 18 Years old and probably one of the youngest entrepreneurs in website edition. Today he lives in Thailand and he’s a happy website editor, he decided to link to my website within a perfectly legit professional website in accordance with Google Guidelines and I thank him for that. CanYouSEOme.com is the personal blog of Madeline Pinthon, she’s an SEO Consultant at iProspect. Madeline also speaks at several SEO conferences. This is her SEO Blog where she shares all search engine optimization stuff. On her blog, she discusses things like Google Tag Manager, SEO Benchmarking tools, Google search console API. I believe that you had too many pages to control and that led to a judgment mistake about Madeline’s post, as a gentleman would never say that Madeline work is not in accordance with Google guidelines. As you can see her citation is perfectly legit and in accordance with the webmaster guidelines. MyDigitalWeek.com is the first website that brings together the events of the digital economy in the following sectors: SEO, e-Commerce, Digital Marketing, Mobile, IT, e-Health, Fintech, e-HR, Smart City, Internet of Objects, Innovations, E-Education, e-Tourism, Startups, Media. MyDigitalWeek team is composed by Annie ABELA-LICHTNER (Journalist & Founder), Alain LAIDET (Counselor), Alexandre ZAKARIAS (Contractor & Editor-in-Chief), Juliette FAUCHET (Journalist), Cédric MORIN (Journalist), Jean-Eric PELET (Marketing Research Teacher), Irène LOPEZ (Journalist), Christine SOTO (Consultant), Jérôme BOUTEILLER (Journalist & Consultant). As you can see this is another very serious website and it was not created for link purposes. Absolutely in accordance with Google guidelines. Now that I have justified all these links please note that I had as a sixth sense with regards to the links coming from the French sites. I was sure that some competitors would have mentioned these links and that is why I anticipated this maneuver by uploading to the search console a disavow file containing the vast majority of the sites you have quoted here. This is the last formal proof of my sincerity to remove any doubt about my amply deserved victory. But please Eran keep in mind that my line of defense is not focused on this file but on the fact that the links we discussed here are perfectly in line with Google’s recommendations. I may well not have used the disavow file for these links and remain in full agreement with the Google rules. What matters most to me is respect for all those people who have experienced this international SEO competition. Please let me add a last point about all the links discussed above. According to what you wrote to me by email this backlinks table was sent to you by a competitor. So to some extent, I was justifying myself because of an investigative work that was done by a competitor. While I have no-doubt on your own honnesty, what can we really hope for from this investigation work done by a competitor in terms of honesty? Now that I have justified myself enough, I must remind you the essence of my SEO strategy that helped me to get these top rankings on Google.com with more than 80 positions ahead of the second in the contest. I entered the contest with a useful tool that you have appreciated yourself if I believe the discussion we had on Skype. I have received natural citations from several countries and sites highly trusted. I have received natural links from France, Italy, Spain, United States and from many other countries. I received these links for only one reason, because I deserve it. It is not a coincidence that Bruce Clay quoted seo-hero.tech naturally (https://www.bruceclay.com/seo/choosekeywords.htm). I did not published another keyword research tool, I published something different, something awesome, something that standsout, an SEO Tool that brings me to the top. SEO-Hero.Tech receives traffic from many countries. Here are only a few of these countries. Remember that you have the admin access to Google Analytics if you need to verify these datas. Could you really think this result was achieved by search engine spam? We chatted together and you know what was my SEO strategy, you perfectly know what brought me to the top on Google. As I explained, I have done everything so that Google sees that SEO Hero is not just an SEO competition organized by Wix but is also the name of an SEO tool that users appreciate. Among the elements that enabled me to get this ranking, remember that I have never used the term Wix on SEO-Hero.tech. That helped me to detach seo-hero.tech from some semantic clusters related with Wix contest. Here is another element that confirms once again that I have created a site for users and not a site for Google. The origin of the traffic of seo-hero.tech on the last week. Eran I do not doubt for one second that you are an honest person, which is why I really hope you will make the most fair decision, accept the sincerity of this appeal and officially declare my victory. I deserve it, now you know it. I can guarantee that Walid is a 100% reliable person and that he has won the contest with a full compliance of the rules. 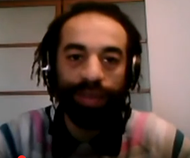 It’s ridiculous to say that he has used the French community. I personnally publish dozens of websites but have no linked to Walid’s page because he has not asked for it, not has he asked anybody to do that. All his links are natural. His achievement is just impressive. I’m confident that his disqualification will be reconsidered. The SEO Hero Wix contest has a remarkable champion. Congrats to him! Come ho espresso il mio parere su un tuo vecchio post su Facebook troveranno quante più motivazioni possibili per non far vincere nessuno. Che queste fossero le loro intenzioni lo era chiaro fin dall’inizio, peccato. Spero che non si chiuda così, sarebbe davvero una brutta pagina per il Web. Et bien je crois que tu as réussi un exploit, un de plus après cette victoire au concours je l’espère, tu as réussi à me faire lire (et comprendre quand même) un article SEO en anglais. Je te dis merde pour le 30. Super description pour tous les liens qui ont été cités/dénoncés dans le fichier Excel du juge. Je ne vois pas en quoi la solidarité des SEO frenchy créer quelque chose de non naturel. Comme tu l’as indiqué ton ton site a un réel intérêt et donc il est normal que des personnes le cite, en bien comme en mal. Vraiment j’attends les suites de cette histoire. Give Walid the 50K WIX. I’ll never use, or recommend WIX. What a laugh of a contest. The winner is disqualified and you keep the money? On est avec toi Walid. Tu es le vainqueur, point. I’m Mathieu JANIN, owner of the shitiest listed page: agof.fr (see the whois if needed). I can confirm that not only this is a totally legitimate support page for Walid, but also that it has been set to « noindex,nofollow » for the robots >from the start<, so it is fully compliant with google guidelines. I bought this domain to do some tests in the begining of march, and realized that I could use it to attest my support to some contestants on the wix race. So I built a quick and dirty page that I published as "noindex,nofollow" for the time of the setup. Then I realized that it was very… very dirty. I immediately contacted Walid, who was already winning the contest, on twitter, to know if he accepted this kind of support. He was somehow busy and just answered me in short "do as you wish, it's organic, I don't care". Looking back to my page, I thought it was finally too crapy and didn't remove the "noindex,nofollow". I would really consider it unfair if this piece of crap should steal Walid victory, and I curse those mean, immoral bad players that can think they can win anything by denouncing like this (they will surely not win consideration and fame like this). His SEO mojo is simply paving the future of the trade ! 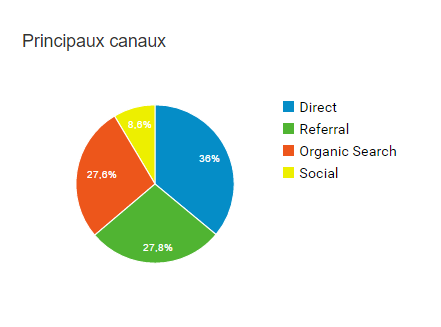 Dernière ligne droite, tous les SEO FR sont avec toi ! So… Disqualified of a SEO contest because Russian participant complain about unnatural linking !?! Sounds totally unreal and like a good joke… But it appear that what I was afraid of is becoming real now ! Congratulations to you Walid and thank you for providing us for free a new tool which can help us to create greater content. Thanks for your kind words and for the backlink (which I promise is not part from any deal). My article (listed in your CSV) was mostly about my fears that losers try to make other contestants been disqualified because they can’t win in a regular way, kinda ironic, isn’t it ?! Nowadays there are always haters who use those crappy tactics… So please, don’t fall in the pit/trap. May I should add few more words to clarify something which can leads to misunderstanding… When we refer to #FrenchTeamSEO on Twitter or everywhere else it mean that we support the french SEO participants not that we are part of real team where everyone’s trying to work together to achieve the same goal. Furthermore, I think it’s obvious that all links mentioned are natural. Some people in France decide to write articles to talk about and support french participants to an international contest. Nothing’s curious nor illegal here… During the Olympic Games you support the canadian team/participants, right ? And correct me if I’m wrong, but I’m free to publish the content I want on my blog, right ? So How can you reproach something to Walid for something I (Hervé ARNAUD) did ? And I won’t let anyone say that my articles and my vidéos are part of a link scheme or a deal with SEO Hero contest participants… This is pure defamation. 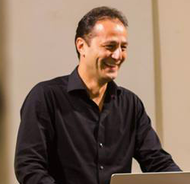 Give Walid Gabteni his money… He deserve it, he’s the legit winner of your contest. Otherwise you may discover that Superbowl advertising is really cheap… and that in my humble opinion (no threat here) messing with the French SEO/Web-marketing community for 50k was not the better move you can make for your e-Reputation. How much will you have to multiply this amount to clean internet after making hundreds of SEOs angry against you ? How much your revenue could be affected by the bad buzz which risk to occur ? Please be fair play and don’t neglect nor underestimate little frenchies. Superbe démonstration Walid, on est tous de tout cœur avec toi !!! En plus d’avoir gagné tu as une belle prose Walid 🙂 Belle démonstration de ton incontestable victoire ! As M. Gabteni explained on this blogpost, I’m the co-founder of a well know job board & HR media company specialised in digital marketing / e-commerce in France since 2011, helping many companies looking for talents to hire some great people. We also have a blog, Google news accredited, that we are using to promote some great events / news / advices and other interesting stuffs relevant for our audience and always around digital marketing, social media, e-commerce etc. … but instead of saying thanks to all these french media / blogs that are promoting Wix and this contest for free, I’m a little bit surprised to hear that our link to the SEO-Hero’s websites are considered as… spam? not compliant to Google’s guidelines? Are you serious? What is your criteria to say that? So you’re launching a great SEO contest in order to get a maximum of exposure for your company, make some noise from media all over the world, and at the end you’re blaming participants for being mentioned in some of these media? If my explanation wasn’t clear about the reason to write a blogpost about this contest, please let me know and I’ll be giving you more details… but please, don’t use that as an argue to exclude M. Gabteni or other french participants from your contest… it’s really ridiculous and your starting & great idea to promote Wix through a SEO contest will probably turn into a disaster for your online reputation. Writing an article about SEO Hero Contest on my personal blog searchdatalogy.com and supporting the French Team was my own decision. In my article I gave a link not only to Walid’s website but to all participants of SEO Hero Contest from France which were identifiable. In that article, you can find a google sheet document to follow up the French team in the SEO Hero contest as well as a twitter data analysis on 6 K unique collected tweets with the hashtag SEOHero. I have done all that because I was simply interested in the contest as a spectator. I am French, so in my opinion it is very natural being interested in one’s country’s team participation, presence and evolution in any contest. However, I still can not understand, how and why someone may question the links in my article on my own personal blog. First, if we can not trust Google’s results then I do not see the reason of organizing a contest on Google from the beginning. Second, Google is the only authority which can tell us if a site respects its own guidelines or not. Third, if Walid was not respecting its guidelines, his site would not obtain better positions than Wix or the other competitors at the competition. Finally, Walid is the undeniable winner of this contest, any disqualification, denial of his success will be unfair and ashame. Concernant mon blog et le lien vers Walid (et Stéphane, BTW) il est totalement naturel et a été posé au tout début du concours. Encore heureux que les blogs SEO relaient l’actualité d’un concours de référencement aussi populaire, c’est l’inverse qui m’aurait paru non naturel ! Très belle défense! Clair et limpide. Et tu as réussi à me faire lire (en entier!) un article en anglais! Bravo! J’espère sincèrement que le juge reviendra sur sa décision! Ton idée de faire un site pour l’utilisateur et non pour Google te place de toute façon en meilleure position! C’est ce que Google demande, et c’est ce qui fonctionne en SEO! I have also a SEO blog and worked for years as a seo consultant (also in US). I have Walid on twitter contact. He has never asked me to do a link for his new website eventhought it was so easy for him to ask. That’s why I think if a « french speaking SEO » took on their own time to write something about the new tool of Waalid or about your wix SEO hero competition, it’s just because they wanted to speak about that and found both interesting. We are (still) in republic, they can do what they want on their websites. And to be honnest, at least, this competition was also for Wix to get new BL and SEO advantage about your own competitors, with plenty of new BL with big trust, and it has worked very well. You had it also fo the french SEO blog in your list. Concernant le concours, je confirme que tu ne m’as jamais demandé quoi que ce soit et que j’ai spontanément et délibérément voulu soutenir la Team française. Maintenant l’attitude de Wix ne me surprend pas et j’aurais été prêt à parier qu’ils auraient cherché (et trouvé) tous les moyens pour disqualifier tous les participants du concours. Ciao fratello! Super article qui apporte toutes les preuves concrètes de la propreté de ta stratégie. Ca montre (encore une fois) que ta méthode, tes valeurs SEO (qui sont également les miennes) fonctionnent sur Google et je m’en réjouis. Que WIX change d’avis ou non, tu auras gagné en SEO credibility aux yeux de ceux qui ne te connaissent pas et c’est l’essentiel mais j’espère sincèrement que WIX va revoir son jugement. Hi, Walid, it is crazy that you had to publish this article! As I said at the beginning, this is plain crazy. Merci Christophe pour ton message et aucune raison que je le prenne mal. Il te manque une partie du tableau, j’ai beaucoup profité du concours pour faire connaitre le tool sur lequel je bosse. La base de béta testeurs est juste énorme, maintenant ce tool va pouvoir grandir. Jamais j’aurai pu avoir cette visibilité sans ce concours. Mais quitte à participer à un concours, autant essayer de le gagner. Avant le check des positions je pensais à la victoire dans les SERPs, une fois qu’elle a été acquise alors le nouvel objectif est devenu les 50k, je ne vais pas cracher sur mon dù. Io credo che Walid sia un fuoriclasse, un professionista con competenze straordinarie. Ho utilizzato il software SEO-hero in quanto ho rilevato ottimi feedback su alcuni gruppi facebook di appassionati SEO, ed io stesso ho consigliato ad altri SEO-hero! Walid ha creato un prodotto utile e lo ha messo a disposizione della collettività GRATUITAMENTE. Il prodotto in questione si chiama SEO-HERO!! Not fair…again. But nothing you can do it in this case. You are the winner for all, this is important now! Sorry and congrats! T’as gérer Walid, de toute façon, il sentait la sueur depuis le départ ce concours. La leçon à en tirer c’est que Wix c’est de la ***** à tout les niveaux. Plus tu marches avec, et plus t’en as dans les chaussettes mdr.